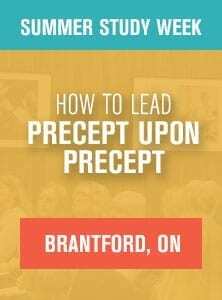 Are you noticing others around you who are on fire for Jesus and you are struggling to ignite the passion you once had when you first accepted Christ? 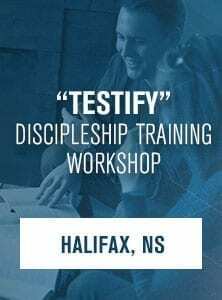 Join our National Director, Mark Sheldrake as he leads you through a study that will open your heart and mind to seek the truths of God in such a way that your passion and fire will be ignited once again! 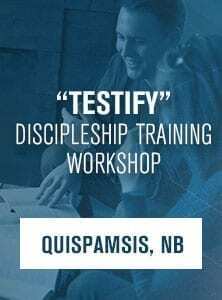 During this 3-hour discipleship workshop, you will be equipped in the Inductive Bible Study Method and challenged to disciple others while taking a thoughtful look at what it means to Fan the Flame. 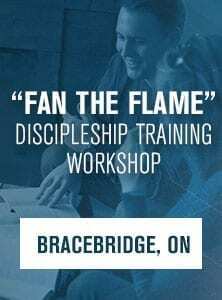 Unlimited available "Fan the Flame" Discipleship Training Workshop - Bracebridge ON $30.00 During this 3-hour discipleship workshop, you will be equipped in the Inductive Bible Study Method and challenged to disciple others while taking a thoughtful look at what it means to Fan the Flame.